One of the books that Mr. Q was reading for school this year included some fascinating history of the hand-drawn illuminated manuscripts that were created during the Middle Ages. It was the glimpse into history that made the ESV Illuminated Bible catch my eye! I’m a little bit partial to anything that comes in a slipcase, and that’s the first thing that struck me about the Illuminated Bible when I opened the package. My slipcover did get a little beat up around the edges during shipping, but it’s a heavy enough case that it protected the Bible very well, and it looks just as beautiful as the actual cover. The hardcover is navy blue with gold lettering and illustration. (It’s available in a few different cover material and color options, so you can find something else if navy isn’t to your taste.) I love the verse that they chose to feature on the back cover of this Bible! The margins in the Illuminated Bible are of a good size, and leave plenty of room for either regular journaling, or art journaling. Periodically, the margins feature a verse or simple artwork printed in metallic gold lettering. There are also 50 full page illustrations highlighting a particular scripture passage, and the beginning of each book includes a beautiful page as well. The page edges are gold gilt, and the paper is a bit heavier than typical, so it should reduce bleed-through with certain pens and highlighters. I found that the Illuminated Bible coordinates nicely with my Write the Word journals too! The larger size, heavier paper, and hardcover all add to the weight of the Bible. It may not be the best choice for travel, or for someone who would have a difficult time with a larger, heavier book. However, it’s ideal for personal study at home. The ESV Illuminated Bible would be a lovely gift for anyone who enjoys journaling or is an “old style book” aficionado. Include a journal, nice pen, devotional book, and some good tea, and you have a wonderful gift basket! 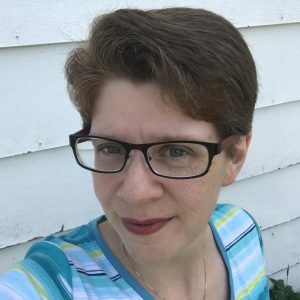 Random.org has chosen Tricia as the giveaway winner! Thanks for entering everyone, and have a great day! by Brian Wells. A clean read, aimed at middle school kids, packed with action and adventure? Definitely a book that I want to check out! 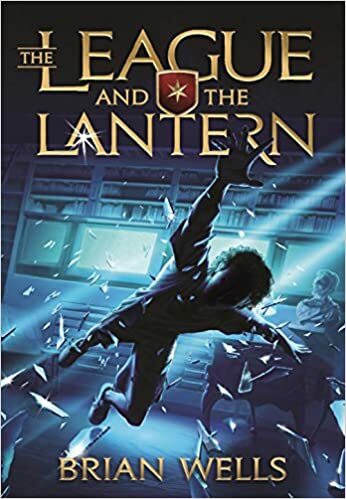 The League and the Lantern certainly delivers a fast-paced story, and unlike a lot of the YA fiction available, it’s a book that I’d feel comfortable letting any of my kids read. There are some “fight scenes”, but no graphic or gratuitous violence. The book is completely free of profanity and sexual references. I would not categorize this as “Christian fiction” specifically, but I don’t believe that Christians would find anything in the story particularly objectionable either. That being said, there were some things about The League and the Lantern that I didn’t love. After reading the dialog in the first chapter, I asked my IT staff, “Is this how real life 7th graders actually talk?” It drove me a bit nuts, but that’s my typical complaint with the dialog in most YA books. I’m not the target audience though. One of the characters who was an agent sounded more like a kid than a professional in my opinion. Not likely something that would bother a kid reading the book, but it kept bugging me. Personally, I would have preferred more detail in parts of the story. There were several times when I wished that the author had provided more details about the setting and characters, or delved deeper into the backstory. That being said, not everyone has the patience for Tolkien-esque detailing in the books they read! Most kids in this age group would likely prefer a story that moves along and doesn’t get too caught up in details that aren’t vital to the plot. The writer did play a little fast and loose with history in The League and the Lantern at some points, but he also offers a page on the book website that offers details on what’s fact and what’s fiction. When handing the book to one of my kids, I’d just be sure to remind them that not everything mentioned in the book is historically accurate, and make it a point to discuss some of it with them after they read the book. Because the Civil War figures strongly into the backstory, there’s a bit of the typical idealization of Lincoln in the book. Again, I would just use this as an opportunity to discuss how people, even presidents, make both good and bad decisions. The League and the Lantern isn’t fine literature, and it’s not exactly my cup of tea. However, it’s a fun book that kids will likely enjoy reading. More importantly, it’s a clean book that I can feel OK about letting my kids read. It could also be a great discussion starter about history. I would not consider it a Living Book to be used for school, but there’s nothing wrong with reading a book just for fun sometimes either. This could be a good option for summer reading, or a book to take along on a road trip. I think it would appeal most to upper elementary and middle school kids who are fans of action and adventure books and movies. Now, who wants to win a copy? The publisher has graciously offered to allow me to give a copy of The League and the Lantern to one of my readers! How to enter? Just leave me a comment on this blog post telling me what your favorite adventure book or movie was when you were in middle school. I’ll be randomly picking the winner on May 21st, so be sure to comment before then! Note: I was provided with a complimentary copy of this book by the publisher in exchange for my honest review. All opinions expressed are completely my own, and I received no monetary compensation for my review. Note: Post contains affiliate links. I love magazines. Print magazine specifically. Sure, I read a lot of ebooks and even some digital magazines, but there’s nothing like finding a beautiful magazine in your mailbox! 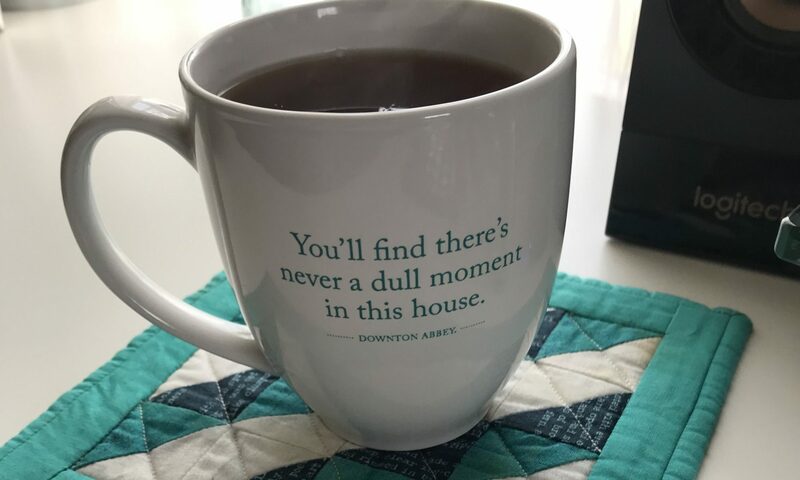 It’s a pleasure to curl up with a cup of tea and a fresh magazine. My daughter loves reading magazines just as much as I do, and in a few short years she’ll be part of the target demographic for teen magazines. That’s why I’m so excited about the new Dear magazine! Dear is the kind of magazine that I wish had been around when I was a teen. It proves that a magazine for teen girls can have both substance and style. From a feature on Amy Charmichael, to an article about sisters, to one titled Your Most Productive Self, there is plenty of thought-provoking substance in the pages of Dear. In a world of fluff-filled media, it’s nice to see a teen magazine that encourages girls to think and grow. Even moms will enjoy reading articles like this! Of course, any magazine that includes DIY projects and recipes like Dear will win points in my book! Now, how would you like to win a one year subscription to Dear? This week’s topic for the Not-Back-to-School blog hop hosted by Home Educating Family is Homeschooling Outside the [Curriculum] Box! This week one of my readers will win the On the Go Planner from Home Educating Family. Look for the details at the end of this post! Back when Mom started homeschooling my sister and me, there weren’t a lot of options for home educators. A handful of companies sold their curriculum to both private schools and homeschoolers. Most people picked one and ordered all of their subjects from that publisher. Mom used curriculum from ACE, also known as Accelerated Christian Education. Interestingly enough, it’s the same curriculum that was used by the Christian school that my husband attended. ACE wasn’t perfect, but I still got a solid education. When it came time to choose curriculum for our own children, my husband and I both wanted to try something different. The traditional “school-in-a-box” curriculums were pretty pricy, and I felt comfortable enough to pull together an eclectic mix of books and curriculum. I’d read a bit about Charlotte Mason’s methods by then, and while intrigued by them, I was not confident enough to totally forgo all structured lesson plans and workbooks. Science and history were materials that fit the “living books” type of approach, while language arts and particularly math were closer to traditional, structured workbooks. I quickly discovered though, that plenty of education went on outside of those carefully chosen materials! All of the “Why?” questions posed by my kids turned out to be great opportunities for discussion, experimentation, and creative projects. A question about colors turned into a Sunday afternoon spent mixing primary color finger paints to see what colors resulted. Driving by a wind farm on the way to the dentist inspired a discussion about power generation. At first I was frustrated whenever things like this came up during our “lesson time”. After all, I had a checklist for us to complete! I learned not to underestimate the value of unscheduled learning this spring when the kids and I had a picnic. We finished our sandwiches and the three oldest kids started exploring the pond in our backyard. They were making note of the various wildlife they found and happily reporting their observations to me. I’d brought our science book with us, and was just about to call them away from the water so that we could read our lesson, when it hit me… They were already learning science! I started laughing at myself and tucked the science book back into my bag; it really would be OK if we read our lesson later. Don’t get me wrong, I still have “the checklist” and I’d be lost without my Well Planned Day, but now I know that the list can wait when opportunities arise. The books and worksheets will still be there later, and encouraging the curiosity of the moment is what will bring my kids back to the books to learn more! Now for the giveaway details! Just leave a comment on this blog post and on Thursday a winner will be randomly drawn from all of the comments. I’ll announce the winner next Friday! Due to international sweepstakes laws, this giveaway is for US entrants only. This giveaway is not tied to any social media site. All prizes must be claimed within six weeks. The lovely folks over at Home Educating Family are hosting a Not-Back-to-School blog hop every Friday this month! And there will be prizes! This week, we’ll be sharing our homeschool stories and you could win a one-year subscription to Home Educating Family Magazine! Be sure to look for details about the giveaway at the bottom of this post! I’m a homeschool graduate, but I spent my elementary years at the local public school before my parents made the decision to homeschool my sister and me. My husband attended the same private Christian school from Kindergarten straight through High School graduation. We actually discussed how we would educate any children we might have back when we were dating. Home education was very important to both of us, and we agreed that we would teach our children at home. You know what the Bible says about pride going before a fall? Completely true. Nothing, and I mean nothing went the way I planned. Munchkin loved books and doing as many activity worksheets as I’d give her, but reading would take tears and another two years to master. We may be the only family in the world who hated Hooked on Phonics. I had ideas for elaborate educational projects, but didn’t really take into account the attention span of my still-young child. Not to mention trying to figure out what to do with two and three year old boys when I was trying to work with their sister! Wasn’t this supposed to be easy? Of course, home educating moms and teachers everywhere knew what I didn’t yet understand: Teaching is hard work! I took a step back, a deep breath, and looked for what God was teaching me about teaching. We eased up. We still read books, and Munchkin still asked to do worksheets, particularly ones that had to do with numbers, shapes, and patterns. We shelved Hooked on Phonics and tried a different phonics program several months later. I learned that our homeschool will not look exactly like anyone else’s. And that’s OK. God gave me wonderfully unique children, and educating them would require an approach that would probably be a little different from how other families did it. I learned to keep the ideas that worked, and not worry about letting go of the ones that didn’t. I learned that planning is important, but flexibility is absolutely necessary. Most of all, I learned to enjoy the ride. Oh sure, there are still days where I think arithmetic might be out to get me. Some days are more stressful than others, and it’s still a lot of work. But overall, I enjoy my job as a home educator. I’m the one who gets to be there when they read their first book, learn to write their name, and all of the countless other firsts. Now, more than ever, I am beyond grateful for the time and sacrifice that Mom and my tutors put into my own education. They gave me a priceless gift, and I pray that I can pass it on to my own children. To enter this week’s giveaway, just leave a comment on this blog post. The winner will be randomly chosen on Thursday and announced on Friday. Due to international sweepstakes laws, this giveaway is for US entrants only. This giveaway is not tied to any social media site. The results are in and the random number generator at random.org chose Hilary! Congratulations! Thanks to everyone who left a comment and entered the drawing! Have a lovely weekend! The lovely folks at Dayspring have sent me a back-to-school assortment of their products for review. Several different designs are available, but the set they sent me will be perfect for Munchkin to use this fall. Homeschoolers use plenty of notebooks, folders and three-ring binders! The set I received included two of each. The notebooks have a sturdy plastic spiral binding, which is nice because it doesn’t tend to get bent up like metal bindings do. The eighty-page notebooks are wide-ruled with micro-perforated edges. I personally prefer college-ruled paper, but at my daughter’s age, wide ruled is fine. My only suggestion would be for Dayspring to make a college-ruled option available. The folders are your typical folders (but pretty!) and are nice quality. They are a little tall for the three-ring binders, but fit perfectly in the zippered binders that have replaced the “trapper keepers” that we used back when I was in school. The three-ring binders are 1 ½ inches thick, making them a good size to handle plenty of filler paper and notes. The binder rings seem to be of good quality, and will probably hold up as well as any typical binder does. The inside of the binders I received is black, which goes nicely with the designs on both binders. There is an inside pocket on both the front and back covers. The products all seem to be well-made, and I love the designs on them! It’s nice to have a better option than some of the less-appropriate characters and themes we find on back-to-school supplies in the stores. My daughter is six and a half and when we opened the box she was thrilled. (Of course, what little girl doesn’t like hearts and hot pink?) Dayspring also offers several other designs that would be appreciated by boys and girls alike. They are reasonably priced, and I may even order a few binders for myself! Also check out the (in)spired Deals page for reviews, coupons and giveaways! Disclaimer: Dayspring was kind enough to send me these items free of charge in exchange for my review. These opinions are my own.